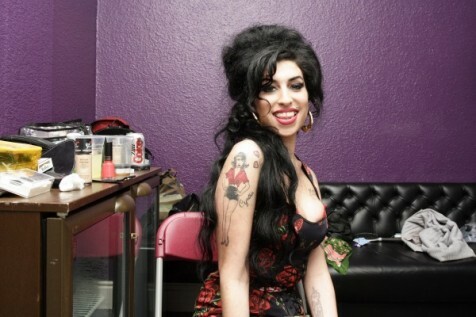 Amy Winehouse Backstage at Koko, Camden Town, 2006. Posted July 2, 2015 by Leigh Livingstone & filed under Arts & Entertainment, Movies. It is irrefutable that Amy Winehouse was an immense talent. A young, natural singer-songwriter who struggled under the weight of her identity and personal demons as she shot to international acclaim. A bright, funny girl who craved love but didn’t think she deserved it. Struggles which ultimately led to her demise from alcohol poisoning at the age of 27. Amy is an intimate and fascinating documentary by Asif Kapadia (Senna, The Sheep Theif) using Winehouse’s most poignant lyrics as the spine of the narrative, accompanied by never before seen footage. There is no creative editing or opportunistic re-appropriation of media footage to perpetuate the public perception of her, Amy is as honest, straightforward and complex as the ‘gobby’ girl herself. It would be easy to point the finger of blame through many of the heartbreaking revelations and fast-stacking circumstances which gradually pinned her down. There are plenty of opportunities to do that, but Amy is not a guided witch hunt for enablers and bad boyfriends. Instead this film is a look at the ‘real’ Winehouse, often using words from her own mouth (even at the tender age of 18, she remarks that she doesn’t think she could “handle fame”). This is why it was so important to Kapadia to painstakingly collect candid footage from close friends and family. The director uses voice-overs instead of filming interview subjects, a decision which helped keep contributors unguarded. Kapadia explains “the emotion is carried in the voice” as they speak about their dear friend and her tumultuous life. The high quality of the interviews shows the sheer amount of work that went into getting the hundred or so Kapadia conducted to gather enough material. Not to mention the astounding effort that went into collating, reformatting and correcting footage and images. It is technically difficult to turn a disparate collection of shots and raw video into a flowing, accurate piece of cinema – but Kapadia has created a deeply honest and moving portrayal in Winehouse’s own words (or more aptly, lyrics).